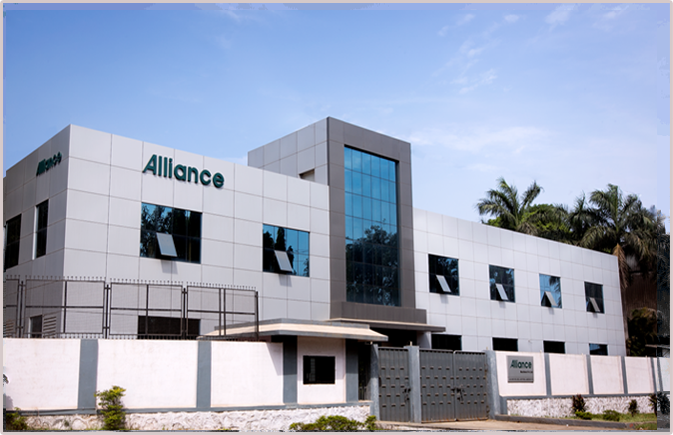 Established in 1967 by Mr. Gopal L Bhatia, Mr. Shyam C Lala and Mr. Shankar U Bhatia, the ALLIANCE group today consists of two companies namely, “Alliance Engineering Company” and “Alliance Machines Private Limited”. Our states of art manufacturing facilities are located in Dombivali and Ambernath near Mumbai, India. Alliance Engineering Company is engaged in manufacturing of pharmaceutical machine used for drying in granulation. Alliance Machines Private limited is engaged in manufacturing of pharmaceutical machines used for sieving, milling, blending, and material handling for Granulation in Pharmaceutical Industry. Alliance is an ISO 9001:2008 Certified Company. Alliance has been awarded “NSIC- CRISIL-Rating -SE 2A” for our “HIGH PERFORMANCE CAPABILITY AND HIGH FINANCIAL STRENGTH”..
Alliance offers range of products from laboratory model to production models.All machines are manufactured as per cGMP standards. Withover 4 decades of experience, we understand the importance of well designed machines and reliable processes in ensuring smooth workflow and productive work environment for our customers. Alliance has strong technology and human resources base in terms of engineering manpower, Tools & Plants, and Technical know-how besides separate departments for Design & Engineering, Quality Assurance & Inspection etc. We thrive for high quality, safe and environment-friendly machines and methods. Stringent quality control procedures have been adopted and if required by buyers Alliance welcomes third parties to handle QC inspection. Our long and illustrious list of clients both in India and abroad is testament to our build quality and design progress. With exports to over 25 countries across the world, Alliance is your one stop solution for Pharmaceutical care.